12 Things Amazing People Do You Need To Start Doing - Motivate Amaze Be GREAT: The Motivation and Inspiration for Self-Improvement you need! 1. They want to know people who are smarter than they are. If you are the smartest person in your working environment or relationships, eventually you will stop growing intellectually. Surround yourself with people who are smart then you are, so you can be pushed to get better. Get to know new people that will empower you. Go back to school, the school of your mind. Search for information that will improve your life. Get those books, get those audiotapes, get those inspirational documentaries. Learn, learn and learn. Improve your knowledge, improve your skills, become better. Challenges are those type of situations that put you outside of your comfort zone. You got to go for them, you have to search for that uncomfortable feeling that will get you to learn how to use new tools, that will lead you to grow. Sometimes comfort is our handicap, we need to do something about it, the best way is to approach every situation as a challenge, an exciting opportunity to get better as a person. 4. They respect older people and learn from them. People who live before us already know the answers to some of the problems we are facing today. Why? Because they have lived the same problems in their respective lives, and know what to do. Don't waste time trying to figure everything by yourself, cut to the chase and use this powerful information, that the ones who came before us already have at our disposal. 5. They get quality sleep. Quality sleeps it's not about the hours you sleep, because everybody is different, for some 8 hours does the trick, for others it has to be more than 8, for others less. By quality sleep we mean to have a regular sleeping schedule and to have a relaxed sleeping experience. Sleep the hours you need to sleep, to perform the daily tasks you have to do. 6. They aren't afraid to be themselves. Stop thinking about what other people think about you. If you work everyday to be the best you can possibly be, if have nothing to be afraid of, specially, what other people think about you. Who cares? Start to keep your priorities in check, first you need to realize who you really are, then, run with it. That's the way you can get to be amazing, because you have to be unique and authentic. If you go for what people want from you, most of the time it will be much less than what you can possibly be, it's a mediocrity path, there's nothing amazing about it. Be you, be amazing in your own way! 7. Their body is their temple. Your body is your home, you need to take care of the place in live in. Eat well, give your body the fuel he needs. Exercise regularly, give your body the motion he needs. Keep the harming stuff out of your body, don't poison yourself. Make regular check ups and visits to the doctor. Keep the engines rolling and the machine in shape. 8. They see a lesson in any negative moment. Any negative thing that happens to you has a lesson to be learn in it. Some people focus so much in the drama that they miss the lesson. Next time around they make the same mistake, because they haven't learn anything, so they can't be precise about what they need to change to be successful. If you face some drama in your life, take the time to analyze it, search for the meaning, there will be a lesson to be learned for sure. Find the meaning become more accurate. 9. They are open to change. Even if you don't want to, change is coming and it will affect us all. So why try to avoid it? You might well be prepared for it, because it's inevitable. Change surely will come, either you can change by yourself, or, wait for the change to come. The first one, is what amazing people do, and it's what you need to do if you want to control your destiny. The second it's what lazy people do, they do nothing about it, and next thing they know, destiny strikes them in the most terrifying fashion. Be pro-active and open to change. 10. They empower and inspire other people. Understand that you are not alone, you don't fight for yourself only, you are part of a team. Let ego outside and get people inspired by your actions. Are you a role model for someone? 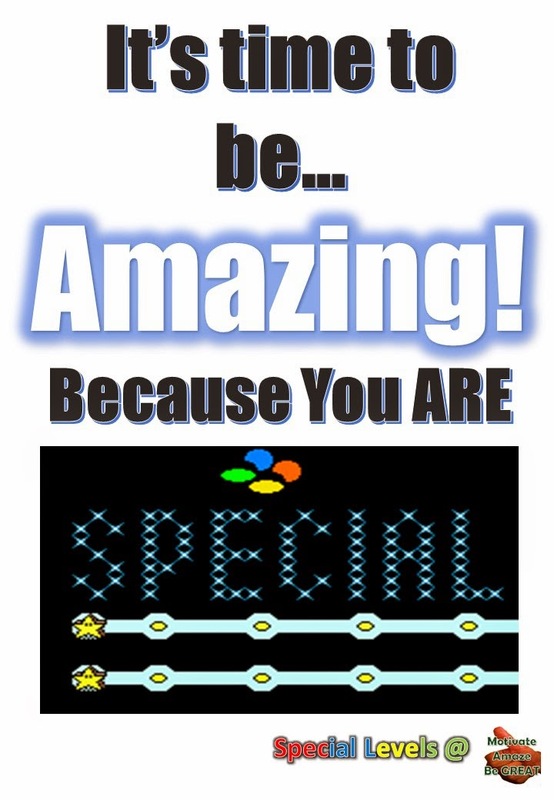 Well, you should be... and most importantly you already are! That's right even if you don't see, you are already a role model for someone else, everybody is! So get to act like one! Stop with the laziness, start to empower people with your own uniqueness. 11. They focus on purposes and improving processes. What is your reason to do it? What are your goals? What is your mission on this earth? What is your contribution to the greater good? If you want to achieve great things you have to focus on even greater things. Those are your purposes and you need to remember them every time. Focus on purposes, stop thinking about people, and why they are like this or like that, why they did you this or why they did you that, that will lead you to nowhere. That has nothing to do with your purposes, it will only distract you. Instead, focus on how you can improve the process. 12. They understand sharing is caring for others and them. When you share is a win win. Because you get to show people something they don't know and maybe helping them improve in some way, that's very rewarding. But, you also get the opportunity to show your content or any other form you sharing, again and again, you will get better and better with this process. Also, when you share you are contributing to others, so there's a stronger chance that will contribute to you by giving something back. So sharing is always a good option, because everyone grows with it.